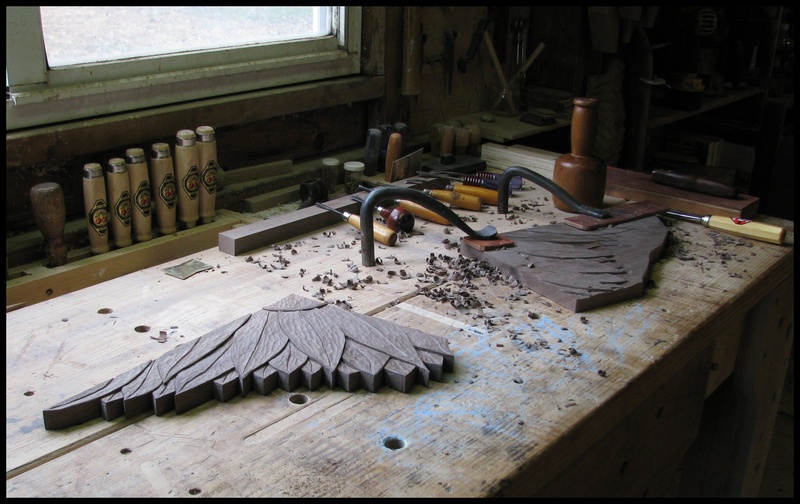 On the bench are the low-relief carvings of two corbels in black walnut, which will support the extension wings to the puppet theater. It is important that all aspects of the theater be given special attention. “Every day part of one day” -brother lesser apollos. These black walnut corbels are amazing. I think you should take a close up picture or two, so that we can see all the finishing details you incorporated in these pieces. How long did they take you to do?